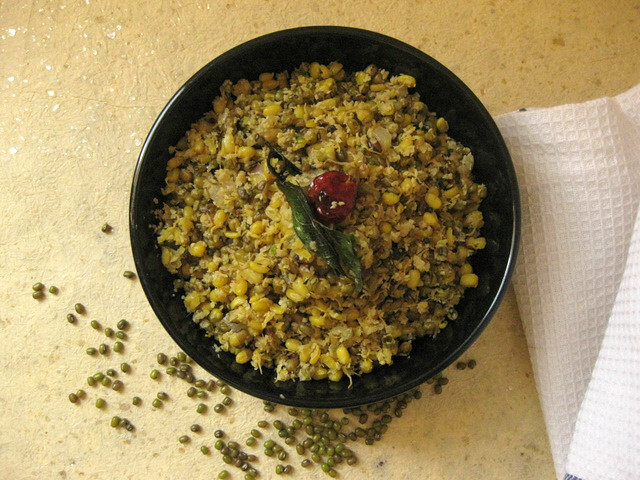 Crush grated coconut,ginger,garlic,shallots,green chilies and cumin powder together.Set aside. 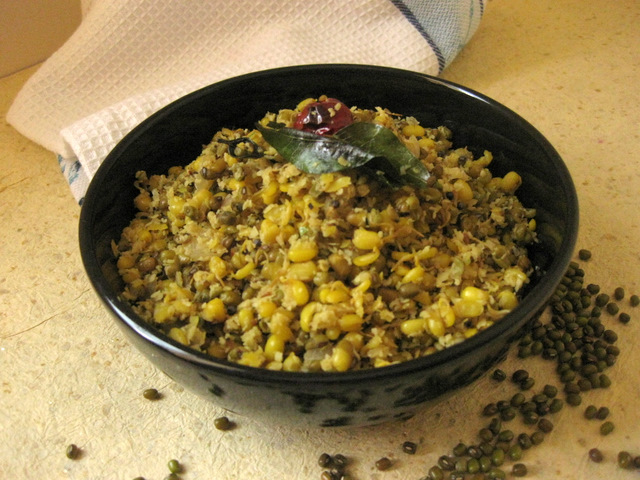 Cook cherupayar/green gram with enough water and turmeric powder. When it is cooked ,switch off the flame and add the crushed coconut mixture and salt immediately and cover the vessel and leave aside for 5 minutes. Heat oil in a pan ,add mustard seeds and let it splutter. 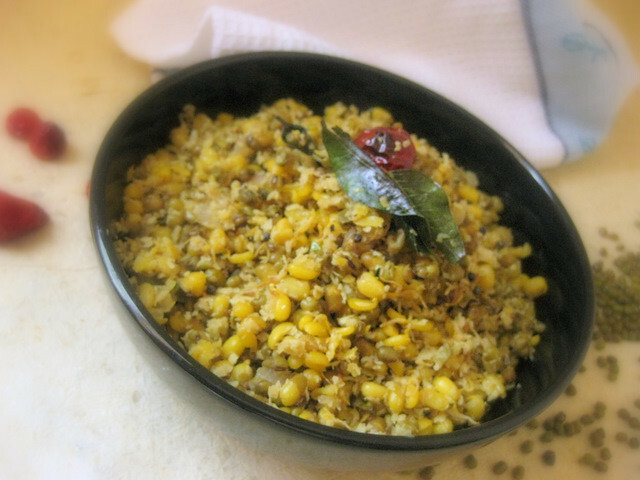 Add curry leaves ,red chilies and chopped onions , saute till the onion turns pink. Saute for 3 - 4 minutes. 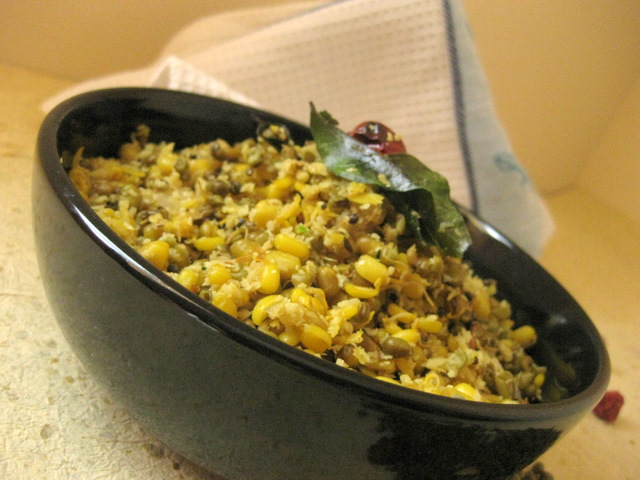 Should green gram be boiled along with the coconut mixture or after cooking the green grams the water is to drained off n then the mixture to be added with it and kept aside?